At first thought, selling your car might seem like a wonderful idea. But the reality is, this can be a difficult task if you don’t take the proper steps. Many people spend weeks or even months trying to find the right buyer. While waiting, some sellers may drastically lower the price of their vehicles. If you want to get the most out of selling your INFINITI sedan to a Laplace, LA, buyer, make sure you go through the process the right way. If you do, you can get the money you need and spend less time waiting for buyers. Of course, you want to make as much out of this transaction as possible, but you need to be careful about the listing price of your INFINITI sedan. Savvy buyers will do their own research and will know what a fair price looks like for your vehicle. If you price it too high, potential buyers will pass you by. If you price too low, you will shortchange yourself. Go to Kelley Blue Book, Edmunds, Auto Trader, or another reputable site and check the value of your car. You will base this on the year, model, condition, and mileage of your vehicle. You don’t need to be a professional photographer to take and post good photos of your vehicle. Take some shots of the interior and exterior of your vehicle. Show off the engine and the trunk space. Highlight the room inside as well as any new features you have added or improvements you have made. Laplace, LA, buyers want to see what the car looks like before they check it out in person. It’s important to have a vehicle history and documentation that you have taken good care of your INFINITI sedan. This will justify your price and will also provide the buyer with confidence that you are giving them a good offer. Keep service and maintenance records for a couple of years to prove you have done your part to help the car perform well. Most serious buyers in Laplace, LA, will want to test-drive your car. Before anyone sees it in person, clean it out thoroughly. This means you should vacuum it and get a car wash. Don’t leave personal items inside. 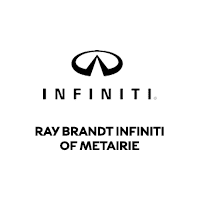 Once you start the process of selling your INFINITI sedan to a Laplace, LA, buyer, you should visit Ray Brandt INFINITI and shop for your next vehicle.